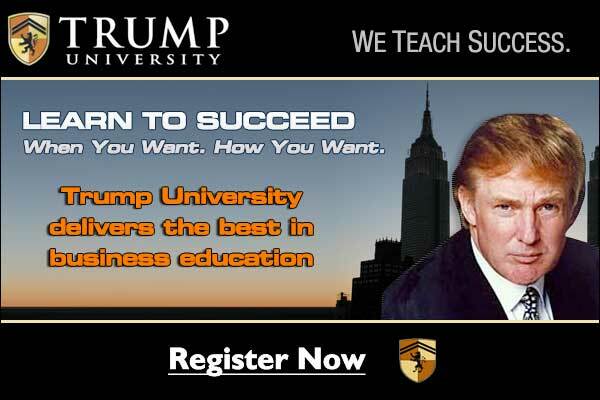 The unaccredited Trump University took an estimated $40 million from some 7000 students, and some of them are now suing Trump for fraud in two California class action lawsuits that are pending, along with a separate case being pursued by New York’s attorney general. Marco Rubio has been eager to respond. In summer 2014, Rubio wrote to the Department of Education on behalf of one of the worst for-profit colleges, Corinthian. In a letter to the Department’s Deputy Secretary and Under Secretary, Rubio stated that the Department had “recently placed extreme financial constraints on Corinthian Colleges, Inc. by restricting the company’s timely access to federal financial aid.” He called on the Department to “demonstrate leniency” to Corinthian. Corinthian has since shut down, as its extensive frauds and abuses have been exposed, and many Corinthian students are demanding that their loans be cancelled. Potentially as many as 350,000 students could be considered victims of the Corinthian fraud, with claims rising into the billions. But in going to bat for Corinthian, Rubio appeared to see not a greedy company but a generous one. Between 2010 and 2015, Rubio’s political operations received $27,600 in contributions from Corinthian. Now Corinthian is dead. But Rubio, whose home state of Florida has long been a center for for-profit college abuses and political power, seems to have been undeterred: In a speech last summer, he pledged to “bust” the higher education “cartel” — “by establishing a new accreditation process that welcomes low-cost, innovative providers.” Observers suggested, with good cause, that “low-cost, innovative providers” “could be a euphemism for for-profit colleges. However, Rubio’s paid friendship with for-profit colleges doesn’t come close to that of today’s Trump University critic, Mitt Romney. It also turned out that Full Sail’s owners, the principals of a private equity firm called TA Associates, were among Romney’s top donors. The Romney Super PAC Restore Our Future received $329,900 from TA executives Kevin Landry and P. Andrews McLane, and another $135,000 from Bill Heavener, the CEO of Full Sail University. Landry also donated $89,900 to American Crossroads, the pro-Romney Super PAC founded by Karl Rove. The facts are these: Mitt Romney’s son Tagg and 2012 campaign finance director Spencer Zwick had launched the private equity fund Solamere Capital in 2008 with a $10 million investment from Mitt Romney. In June 2012, the Romney campaign held a retreat in Park City, Utah, for about 200 wealthy donors. Remarkably, right outside the retreat, Solamere Capital held its own investor lunch meeting. Kerr, from Lee’s Summit, Missouri, saw Vatterott’s TV ads and visited the campus in 2009 to pursue her dream of becoming a nurse. A Vatterott recruiter told Kerr that the school didn’t have a nursing program, but it did offer a medical assistant’s degree. With that credential, the recruiter said, Kerr could make $15 to $17 an hour, and her Vatterott credits would transfer to a nursing program and put her on the “fast track” to being a nurse. Vatterott’s recruiting abuses have led to bad outcomes for enrolled students. The percentage of Vatterott students who default on their student loans within three years of dropping out or graduating has been a very-high 26.6 percent. In 2012, eight of Vatterott’s 39 programs failed all three initial tests of the Obama administration’s “gainful employment” rule, which established bare minimum standards to penalize schools that consistently leave their students with insurmountable debt. Student bulletin boards are full of complaints about the quality of a Vatterott education.